1963 Detroit is a hotbed of gambling, and the weekly baggage auctions keep a busy trade. 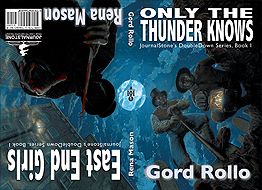 Regulars, Charlie Stewart and Joey Third, are skilled in the methods of successful bidding, but when Joey lands a mysterious suitcase, the thrill of winning turns to fear once they realize they’ve opened something sinister. Charlie sets out to solve the mystery of who recorded the unholy music and how to turn it off forever. But time is against him, and the urge to listen—the addiction—to the song grows stronger. And the more it plays, the more the aural virus spreads, until people begin to vanish... feeding the soul of a spirit seeking immortality. 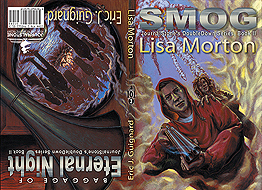 This book is ALSO packaged with a second novella, Smog, by Lisa Morton. In Smog, tomboy Joey thinks she’s got the perfect life: It’s 1965 and she lives in an idyllic Southern California suburb where everyone works for the aerospace industry. But when something goes wrong with a rocket test, the smog thickens and the teenagers change into rampaging killers. Can Joey survive long enough to escape the neighborhood before she joins their ranks? 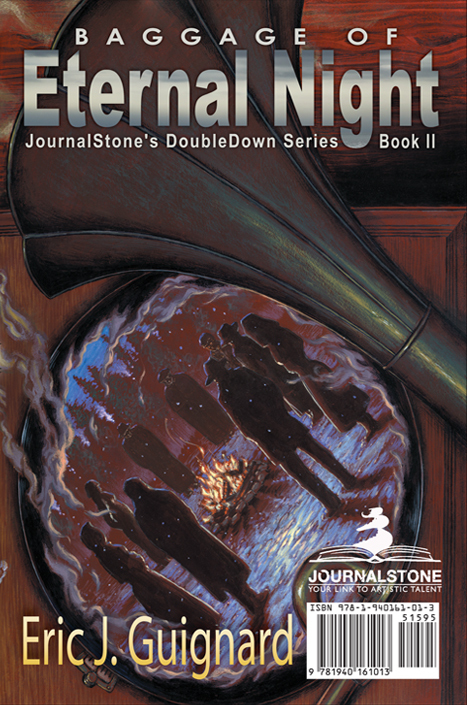 The Double Down Series of books by JournalStone is modeled after the old Ace Doubles, in which two novellas are bound in the dos-à-dos binding method, each with its own cover art. This creates two books-in-one, by flipping the work over to start at either the front or the back. 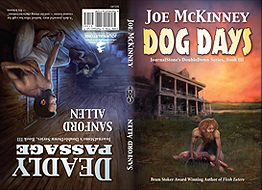 The Double Down books pairs an acclaimed author with a gifted, fresh, cutting-edge author selected by the eminent author, each writing their own unique novella. 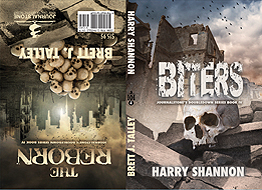 While the two stories are not tied together, the goal is to have them complimentary in a way that keeps a blend of the same flavor within each book.